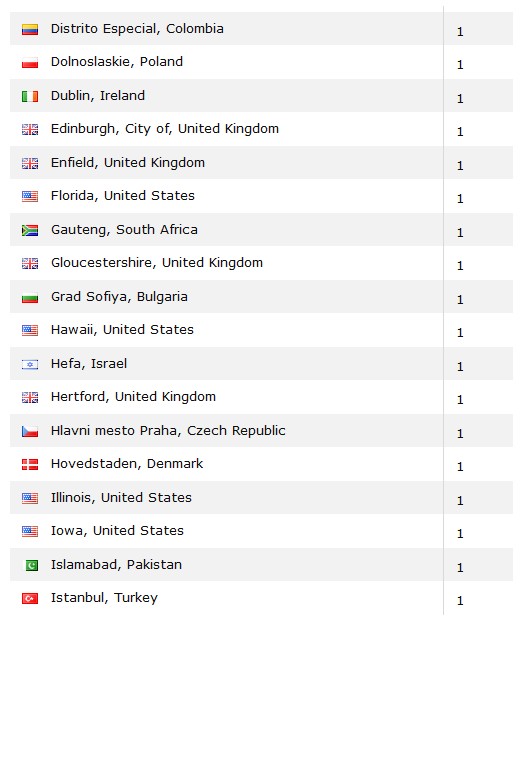 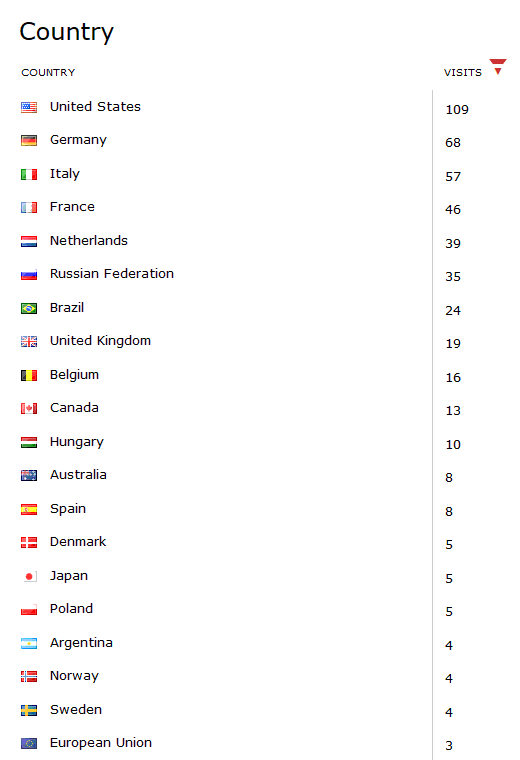 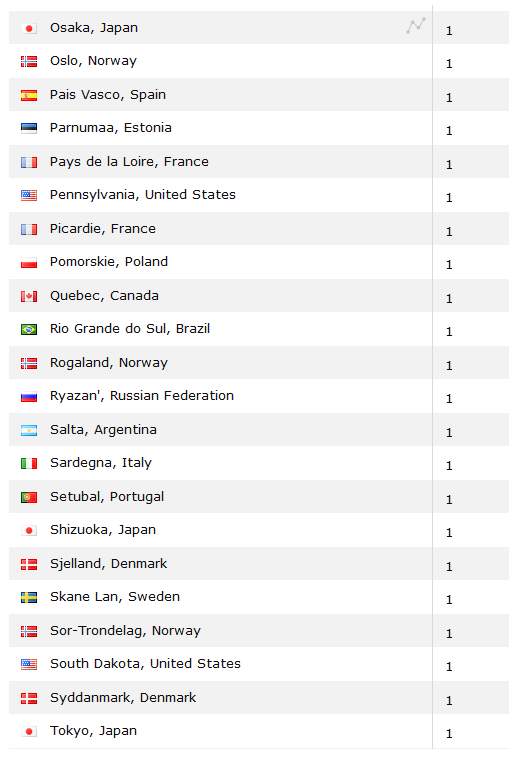 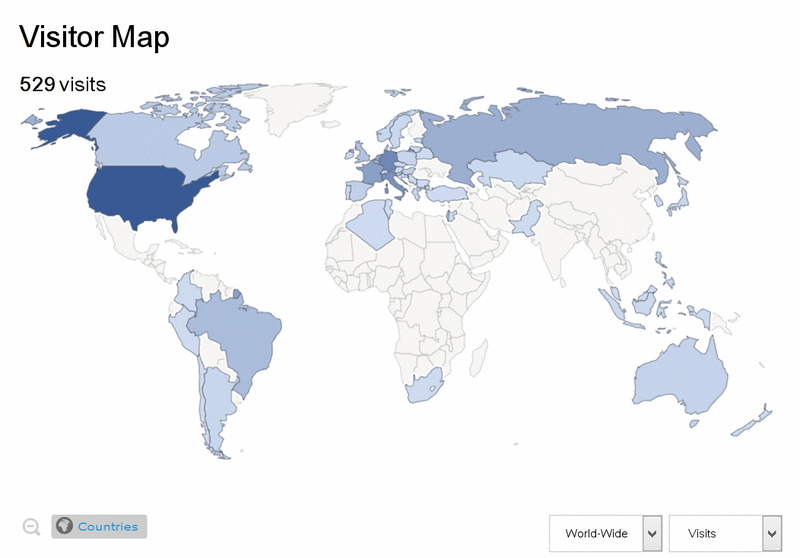 It's most satisfying to perceive, that visitors of my blog are coming from every corner in the world. 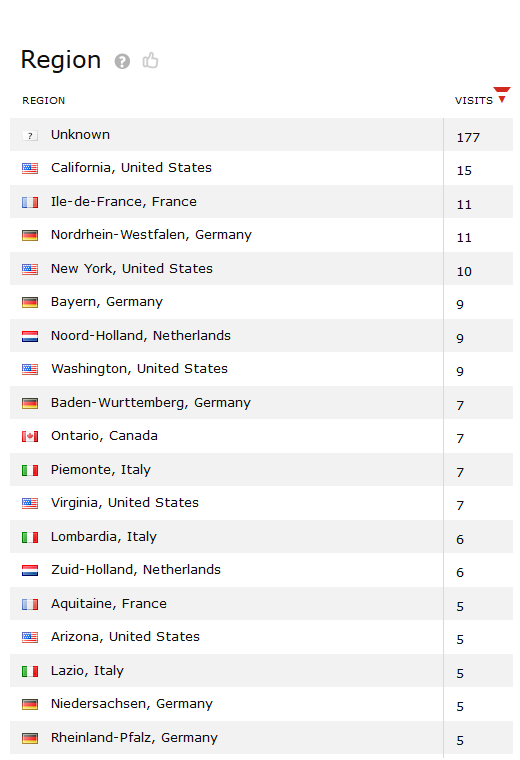 In other words: Fiat 124 Spider enthusiasts are everywhere and they know to find my blog as well ! 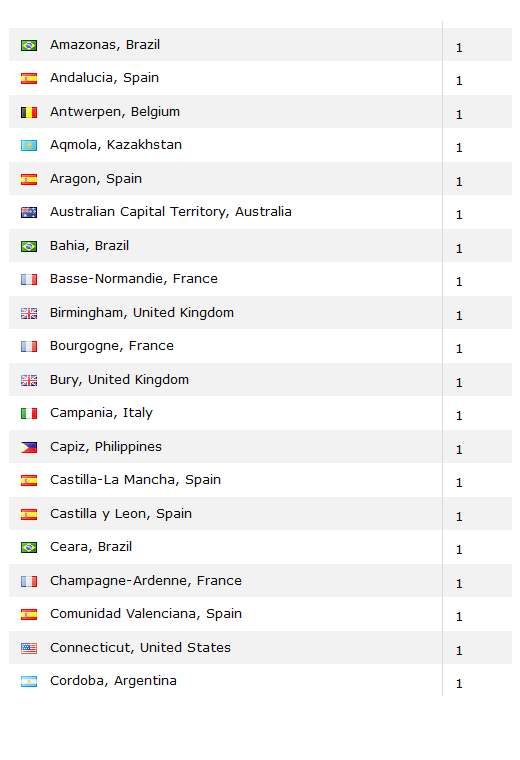 To prove this statement, I reveal the number of visitors that frequented my blog LAST WEEK: 529 ! 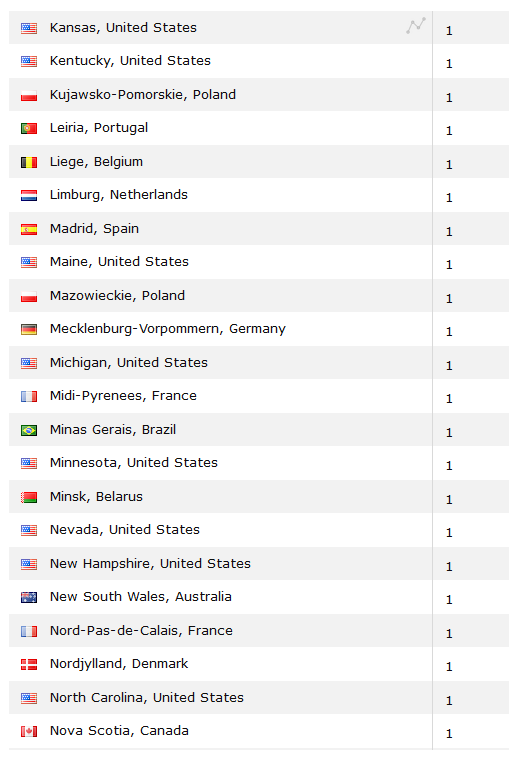 So 529 unique and returning visitors, practically from all continents and from every region of the globe found their way to my blog. 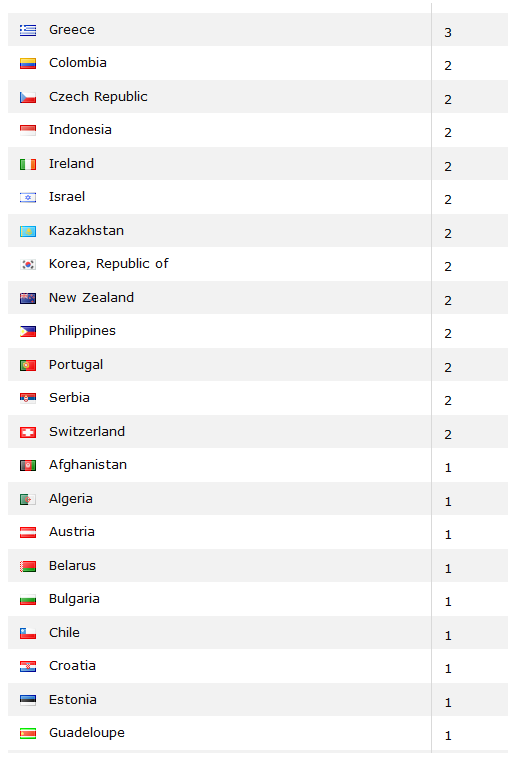 Per country in detail: CHART1 | CHART2 | CHART3. 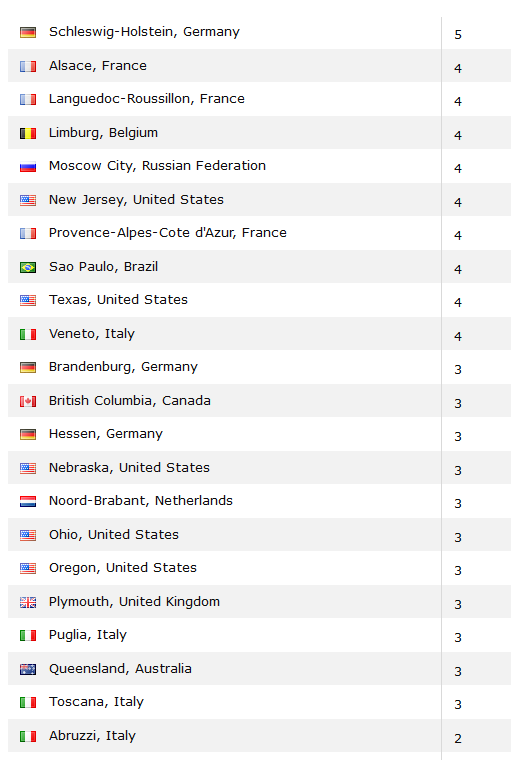 Per region: CHART1 | CHART2 | CHART3 | CHART4 | CHART5 | CHART6 | CHART7 | CHART8. 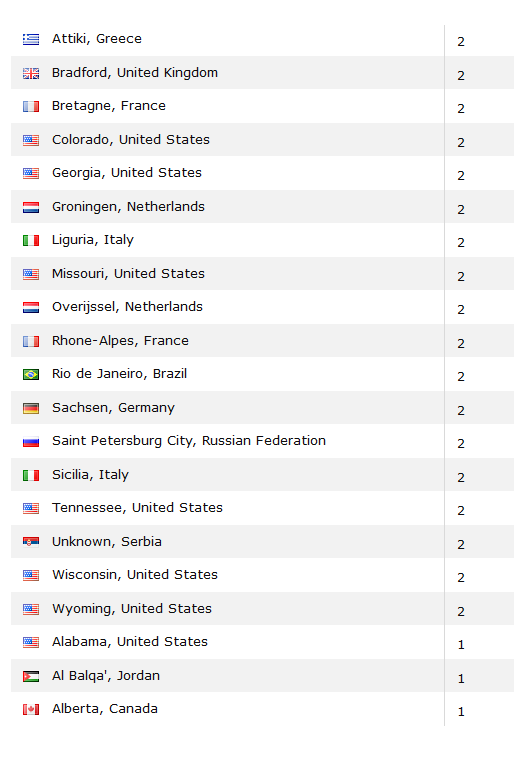 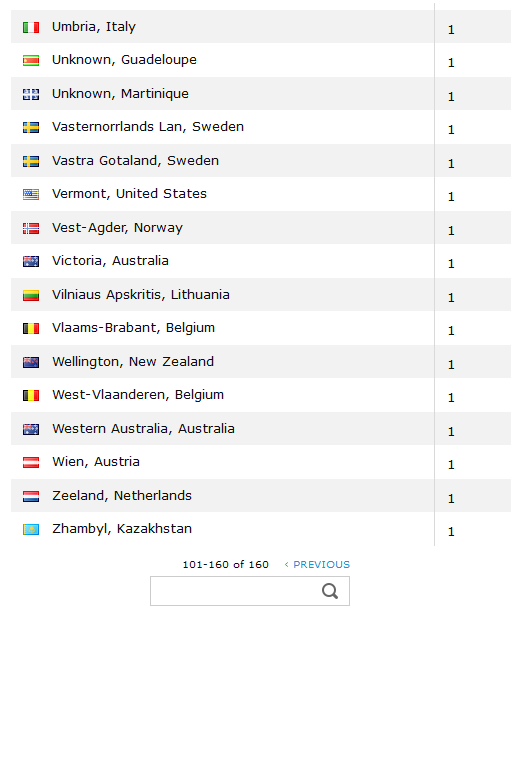 Funny to see, that there were 39 visitors from Holland last week . . . . and 35 visitors from Russia ! 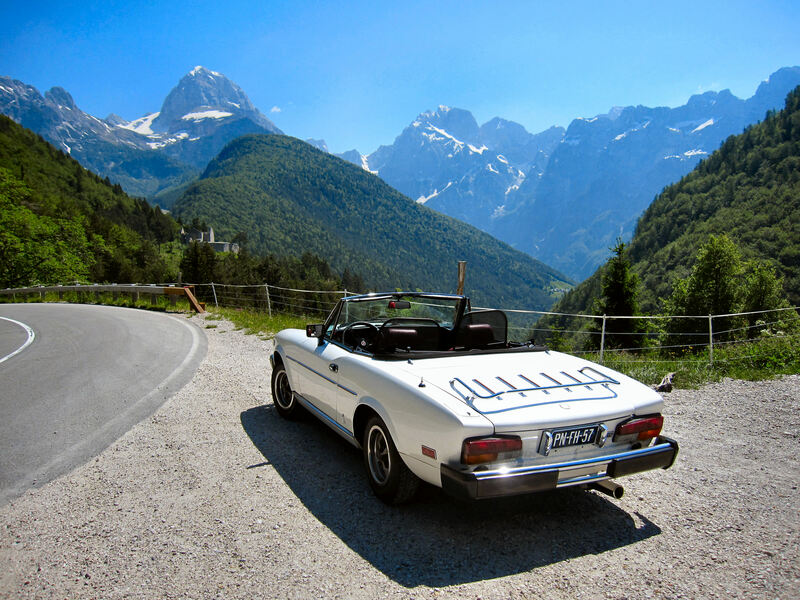 In comparison: there are about 600 officially registered Fiat 124 Spider owners in the Netherlands ( supposedly at least more than 1000, including unregistered ) and maybe there are 1 or 2 ( ! ) 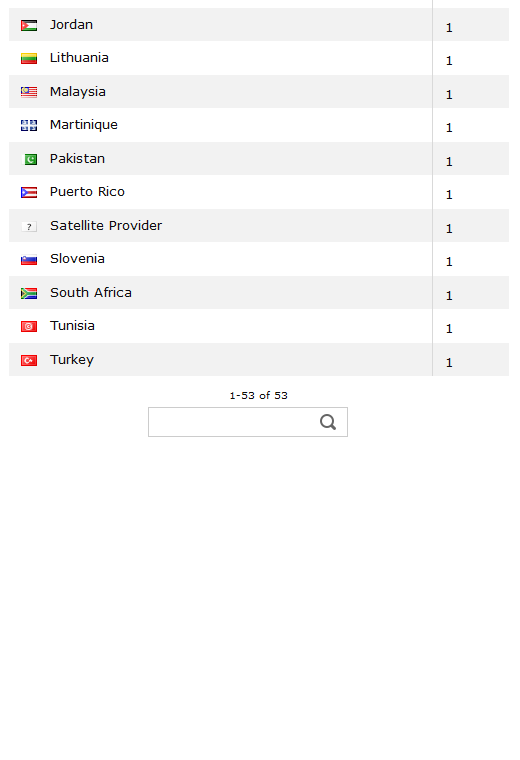 in Russia !